Bridgette grew up in Austin, Minnesota. 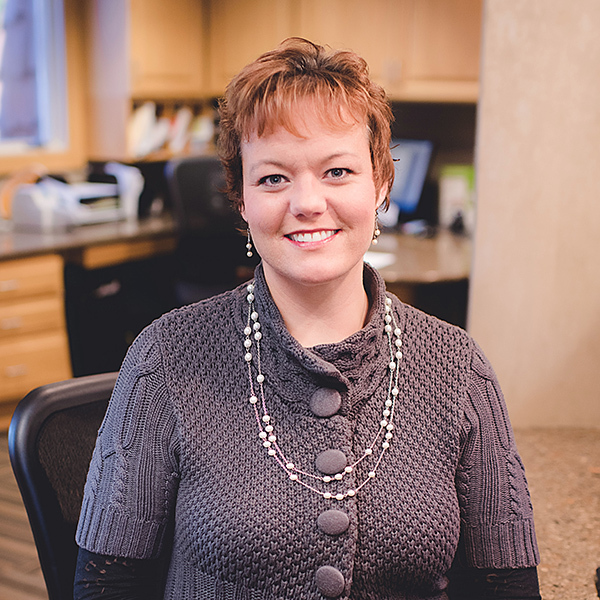 She provides 10+ years of management and office experience and has been with Elrod, Green & Heimer since 2015. She has an associates degree in arts and applied science. She loves meeting the patients and many end up becoming like family to her. Her favorite part is seeing patients every day. In her spare time Bridgette enjoys her family, camping, paddle boating, canoeing and horseback riding.